Fingerprint scanners are awesome! Why use a key when you have one right at the tip of your finger? Unfortunately, they're often unreliable or difficult to implement. Well not anymore! 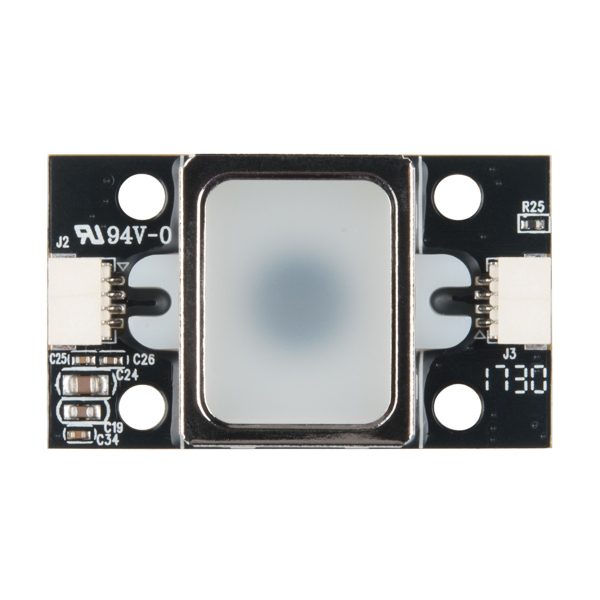 This great GT-521F32 fingerprint module from ADH-Tech communicates over TTL Serial so you can easily embed it into your next project. 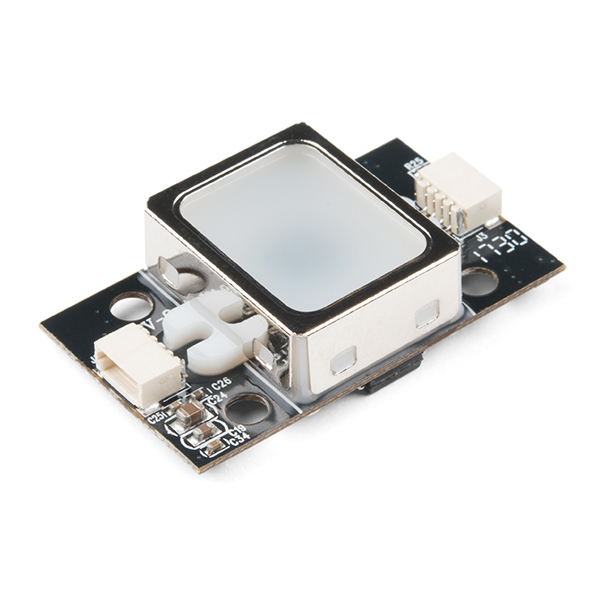 The module itself does all of the heavy lifting behind reading and identifying the fingerprints with an onboard optical sensor and 32-bit ARM Cortex M3 processor. To get started, just register each fingerprint that you want to store by sending the corresponding command and pressing your finger against the reader three times. The fingerprint scanner can store different fingerprints, and the database of prints can even be downloaded from the unit and distributed to other modules. 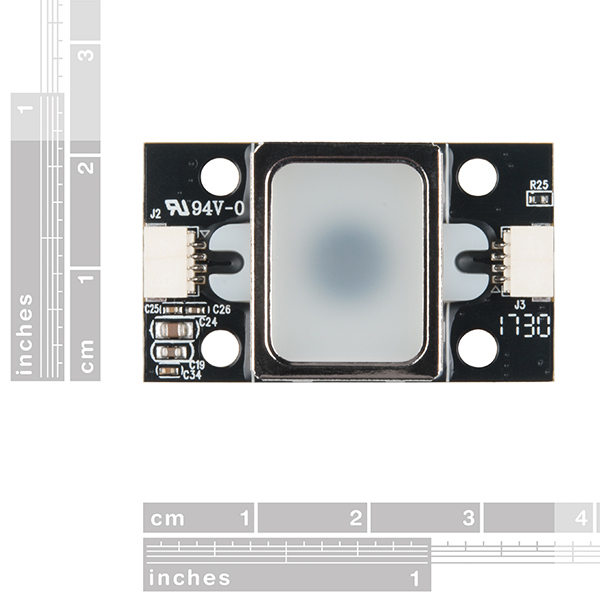 In addition to the fingerprint "template," the analyzed version of the print, you can retrieve the image of a fingerprint and even pull raw images from the optical sensor! 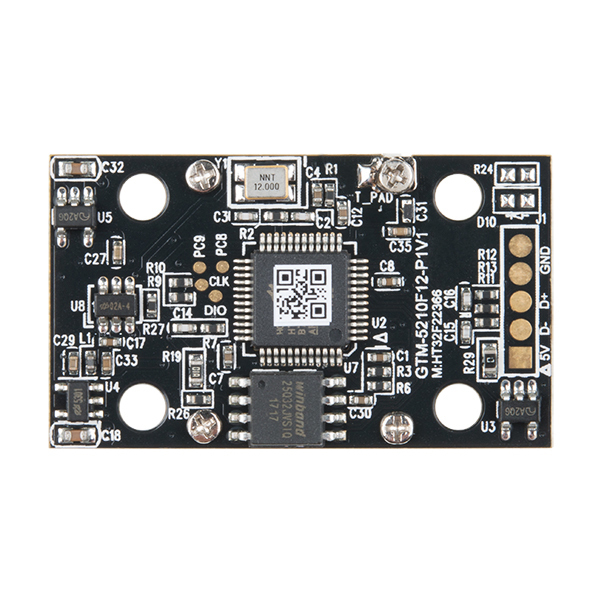 Can I use it with Hardware Serial on the ESP32 and program it on Arduino IDE? is there a way using arduino code to put it in standby? Im using the FPS_GT511C3 library and it doesnt appear to be a function to do this but the data sheet shows there is a stanby. With an arduino pro mini and Fingerprint Scanner - TTL (GT-521F32), im drawing around 100 mA continuously and im worried about battery drain being to fast. The FPS is drawing about 70 mA alone. Any help or pointing me to a website would be greatly appreciated!! Clarification, in case the following is an issue for anyone: First- YES, it remembers the "fingerprints" you asked it to, even across the power going off and then on again. BUT: It is NOT storing images of the fingerprint. It does a mathematical thing when you show it a fingerprint, and it remember the result of that. When you later show it a new fingerprint scan, and ask "do you know this? ", it does the mathematical thing again, and checks the answer obtained from the new scan to the answers from old scans. It only stores the answer from the "thing".... BUT, BUT.... Yes: It CAN "give you" a copy of a scan, a copy of the raw image, as captured. (Being able to see the raw images is very useful when you are learning how to "do it".) And you can save that. But the device is not storing the fingerprints, in their raw form. My son just started 7th grade STEM. In the second week of school, they were asked to redesign a product to make it simpler or better. He chose to make a fingerprint ID padlock. Without much experience in electronics, he was able to follow the tutorial for this fingerprint scanner and connect it to his Redboard that he got last Christmas. He added a servo and within a couple of hours he was able to make a working prototype that would automatically lock the shackle and unlock only with a recognized print - A+ all the way! Works exactly as described. My only complaint is with the hookup instructions/tutorial. The instructions should mention that when the device is correctly hooked up, it will not give any indication that it is ready to go. You need to run a sketch on it (e.g. FPS_Blink.ino) before it shows any signs of life. I spent an inordinate amount off time fiddling with the wires before realizing I needed to run a sketch. Maybe its just my inexperience talking. But a little LED somewhere would be a nice touch. Iâm a noob so I loved how simple it was to follow the hookup guide. It is fast and accurate.